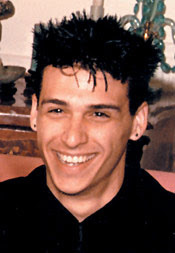 This is the picture of Nick Traina, the handsome and dashing son of Danielle Steel. He has bipolar disorder. It wasn't called a disease 20 years back. You thot that whoever has this illness is someone mean and hyperactive. Nope..it is a disease that need to be cured. Nick Traina has been undergoing the treatment for years under strict observation of his mom and her assistants. He was always in her care, yet, one day, without anyone observing him for few hours, he took it too far (drug overdose) and died. He was not taking drug becoz he's addicted to it, but it's a deviation from his depression. He has chemical inbalance in his body that triggers the mood swing. He is sad one moment and happy the next. He has no control over his actions and do things to the extreme. If he feels like surfing in the storm, he'll do it. You just couldn't say no to him. But as you read along, you will realize the depth of his mother's love towards him. However difficult his being, his mother can always tolerate him. Danielle Steel is indeed a remarkable woman. It makes me wonder, can we be that tough? But again, it just proves the power of mother's love, which knows no boundary. We thot her life is a fairy tale, but this book certainly tells you a different story, that she is after all, only a human being.